Taking the newsroom out into the field, leading news portal InterAksyon.com recently brought its editors, reporters and writers to the University of the Philippines Diliman to show the Iskos and Iskas how the website operates. 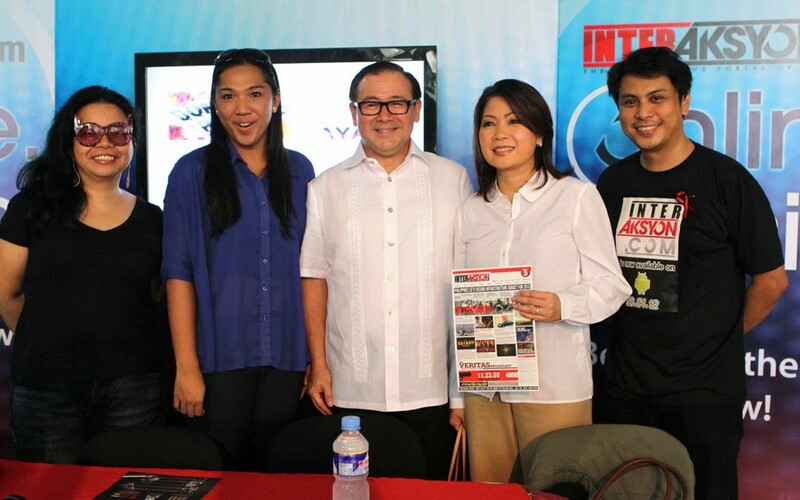 According to editor-in-chief Roby Alampay, InterAksyon’s Online Onsite aims to bring the newsroom to its audience. First held at the Enterprise Center in the heart of Makati central business district, this second of InterAksyon’s on-site series turned out to be a success with the online news portal’s Facebook page receiving an additional 550 likes (now with over 45,000 likes) just after the event. The digital news portal of TV5 is considered the pioneer digital property to conduct its operations on the ground. Over a hundred members of the UP community also downloaded InterAksyon’s Android and iOS apps during the event. Close to 200, meanwhile, attended the forum organized by InterAksyon. Because of its success in the campus, the organizers are already planning to bring the event to other campuses in the coming months. Managing editor Lourdes Fernandez, along with section editors Francine Medina-Marquez (lifestyle), Eric Ramos (entertainment), Jaemark Tordecilla (InterAKTV), Jing Garcia (Infotek), spent the entire day entertaining questions from students on online journalism. Members of the UP community who visited the InterAksyon booth were also given tutorials how to download and navigate the site’s very own Android and iOS apps. 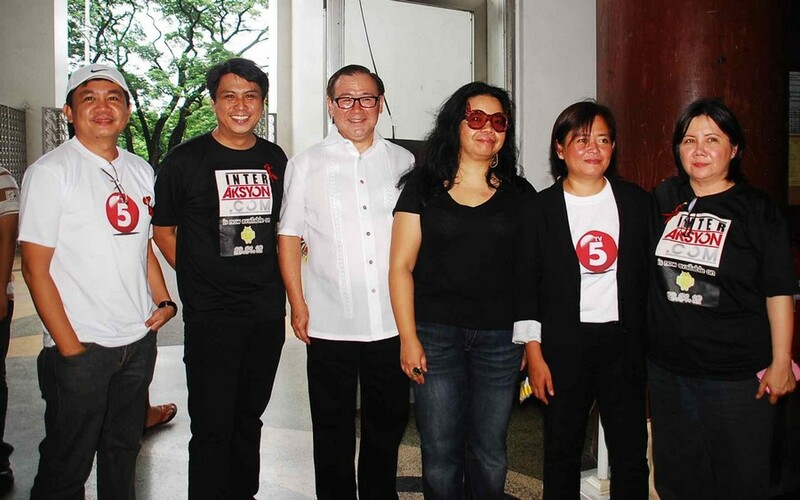 NEWS5 chief Luchi Cruz-Valdes, TV5 weathercaster Lourd de Veyra, InterAksyon columnists and contributors Teddyboy Locsin, Dr. Margie Holmes and Prof. Danton Remoto also participated in the forum and symposia which coincided with the online onsite activity. Meanwhile, Jessica Zafra, a regular site columnist, held a book-signing activity. Less than two years after its launch in February 2011, InterAksyon.com is now among the five leading news sites in the country. NEWS5’s online site is also considered one of the Philippines’ most awarded news sites—bagging five recognitions including an Excellence Award at the Philippine Quill Awards of the International Association of Business Communicators (IABC) Philippines, a Bronze Boomerang for Innovation at the 2011 Boomerang Awards organized by the Internet and Mobile Marketing Association of the Philippines (IMMAP), a top award in the interactive category at the first MAM Awards organized by the Commission on Filipinos Overseas, an Anvil Award of Merit in the Digital-Website category at the 47th Anvil Awards and the Best Design-Interactive/Game trophy for its Traffic Navigator (TNav) feature at the Adobo Magazine Design Awards 2012.